It’s like A children’s book come to life. It’s a beautiful story. I was not expecting such a amazing tale. 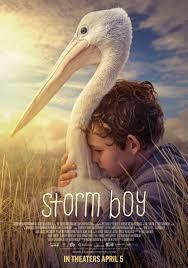 It’s about an old man who tells his granddaughter about a relationship he had with a pelican when he was a young boy.